OPEN TO ALL PGC LONDON DELEGATES! 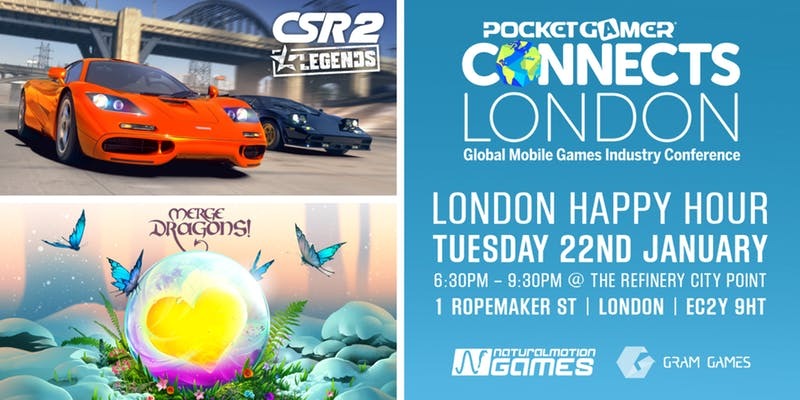 Take a pit stop between Pocket Gamer Connects London and The Mobile Game Awards with the official sponsored ‘NaturalMotion and Gram Games PGC London Happy Hour’! It’s the perfect way to wind down after a day’s power conferencing. Head over to The Refinery, City Point, just a short ten-minute walk from the Connects venue.